Businesses on Skye could struggle to make the most of the island’s tourism boom because of a shortage of accommodation for staff, it has been claimed. At a tourism mini summit held on Skye last week one local business owner said there had been a huge expansion in the number of properties being let on sites like Airbnb, and this trend had limited the island housing stock available for long term rent. 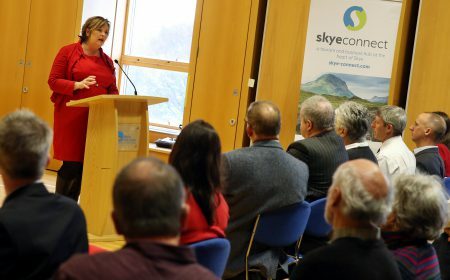 The concerns were raised at the discussion which was attended by Scottish cabinet secretary for tourism Fiona Hyslop as well as business and community groups from across Skye and the west Highlands. 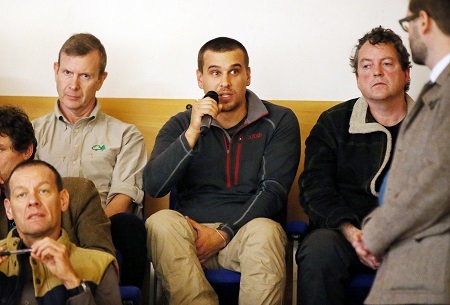 Matt Harrison – who runs an outdoor sports and activities firm – said it was difficult to attract qualified staff to Skye because there were so few places to stay. The rented sector was a particular problem, he felt, as those with additional rooms or houses were increasingly cashing in on the short-term market through sites like Airbnb. “How can you develop, if you can’t house staff,” he said, drawing applause when he pointed out that he had struggled to find accommodation for himself and colleagues. He called for an incentive or initiative which would make more homes available for rent. The challenges and opportunities of tourism on the island formed the basis of a lively discussion which raised topics such as the need for improved broadband technology and better infrastructure at some of Skye’s most popular beauty spots. 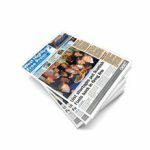 Prior to the question and answer session at Sabhal Mòr Ostaig Ms Hyslop had announced plans for a ‘tourism taskforce’ for Skye to be led by Highlands and Islands Enterprise. 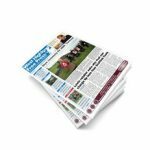 A full report of last week’s tourism discussions and the cabinet secretary’s visit is in this week’s West Highland Free Press.